The Village Hall Committee approached us to see if we would like to start a village film club. As film enthusiasts, we did not hesitate. We now show films once a month.. Initially we used our own rather ancient equipment but now that the hall has been equipped with a full size screen and excellent sound system the quality has improved markedly. The films are shown on a Tuesday or Thursday evening at 8pm but the doors open at 7.30 for a drink from the bar before we get started. Entrance is by donation on the door at £3 per head. Members can also buy entrance for 12 films for £24. The programme is fixed on a seasonal basis and we keep members up to date by email. So, if you would like to join, just let us have your email. As the apparently-perfect wife of a Nobel prize-winning writer, Close gives arguably her best ever performance.“There’s nothing more dangerous than a writer whose feelings have been hurt.” The speaker is Joan Castleman, the charming, enigmatically discreet and supportive wife of world-famous author and New York literary lion Joe Castleman. This is an unmissable movie for Glenn Close fans. Actually, you can’t watch it without becoming one. Each generation has its own version of A Star Is Born. 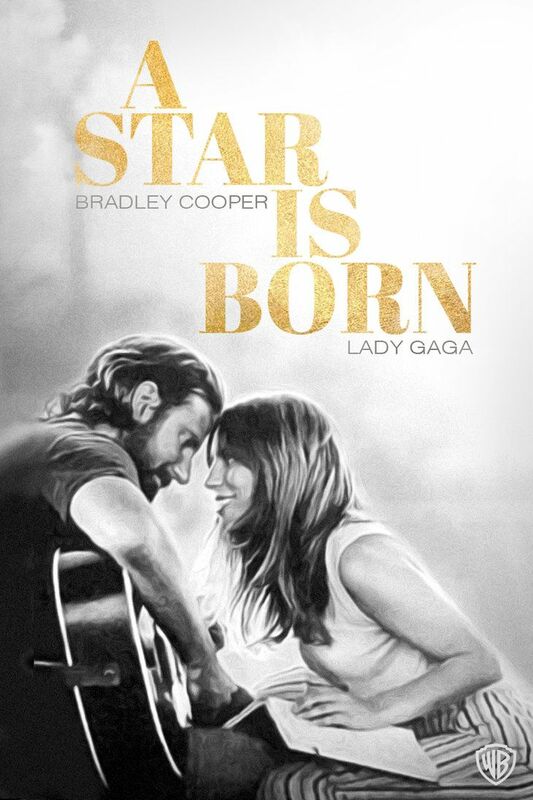 Now, taking the tale to a 21st-century audience, we have Lady Gaga and Bradley Cooper: the former in her first big-screen starring role, the latter making his startlingly assured directorial debut (he also produced, co-wrote the script and part composed). A Star Is Born is nominated in numerous categories in the forthcoming awards season, not least for acting, direction and songwriting. Its Oscar-bait tune may be entitled Shallow, but the film itself is as deep and resonant as Bradley Cooper’s drawl, and as bright as Lady Gaga’s screen future. Japanese film directed, written and edited by Hirokazu Kore-eda. It tells the story of a group of frightened, damaged people who have made common cause with each other, banded together under the flag of family, under the radar of the law, making the best of things from day to day, until they realise they have been making the worst of things. Like Cold War it is nominated in this year’s Oscars for best foreign film.